It seems to be in vogue to predict the impending demise of modern worship, with some even suggesting we ‘kill megachurch worship’. The subject in question has been variously named ‘modern worship’, ‘contemporary worship’, and even the more direct and provocative aforementioned, ‘megachurch worship’. While there have been a plethora of futurists and liturgists rushing to judgment, I am not certain if any of them worship regularly in a church that employs a modern worship style. And I am quite sure none of them are involved in leading either modern worship or megachurches. Before I go further, it’s worth my saying that if you know my writing over the past few years, you know I’ve been strong in challenging the contemporary worship movement (on formation; on reclaiming the mystery of a faith through historic practices). You know that I believe in mining the old traditions of Christian worship, asking what they were doing and why and what we’ve changed and why. I believe with all my heart that ‘the way we worship becomes the way we believe‘. But I don’t believe careless critiques will help us. The renowned social psychologist Paul Eckman wrote that research from a social scientist is less credible when their fieldwork cleanly validates their hypothesis. This is because the kind of experiments and research social scientists engage in are not easily repeated, and thus their biases are less easily held in check. If this is true of the biases even of researchers, what shall we say of the biases of bloggers (even— or especially— if they are liturgy professors)? If one wants to prove the shallowness of modern worship, examples abound; but if you want to really understand and assess the subject, you need a more careful eye. And you must account for an insider perspective. What matters is not simply what the outside observer/blogger/professor thinks is going on; what matters is also what the pastor or worship leader says is going on, and what the worshipper is experiencing. (The latter is known as phenomenological perspective— the way people describe their experience of a thing.) If all we get are theoretical assessments from afar, we will evaluate modern worship without knowing if we are actually evaluating modern worship or our impression of it— which is almost always a caricature. I’m new to the interdisciplinary approach to practical theology, but as a researcher I’m learning that we need more than theology to evaluate our practices. We need the tools of social anthropology to help us look properly at the thing we seek to evaluate. We need the lens of phenomenology to take seriously how people describe their experience of a particular practice. Only then can we engage in robust theological reflection. What does it mean to take a closer look at modern worship? it means listening to worshippers talk about spiritual experiences and encounters with God, instead of concluding that they are shallow consumers looking for a better religious product. Some of my friends in vocational ministry may wonder why one would bother listening to someone else’s critique at all. Too many pastors dismiss the opinions of non-practitioners. Practitioners need theoreticians the same way that contractors need architects. The one building a church ought not ignore the one who studies its history and theology. So, I am not suggesting that we only listen to practitioners; but I am suggesting that critiques from non-practitioners be more accurate and nuanced. In short: If you want your theoretical critique of modern worship to be helpful to pastors and worship leaders, make sure you actually know and understand modern worship and/or megachurches. If you want to serve the Church, you’ve got to love the Church. And in order to love the Church, you’ve got to know the Church. The most helpful evaluations from those who love us most and know us best. The most fruitful critiques are about the area of church practice that we know and love the best. 1. Not all megachurches are alike. This should go without saying, but unfortunately, the broad assumption is that all large churches are the same. There is no such thing as ‘the megachurch’; there are megachurches, and each is a little different. Yes, there are broad similarities, but there are also significant differences. One example of undifferentiated study of megachurches is Kate Bowler’s landmark research on the prosperity gospel. In a journal article, she and her co-author fail to distinguish between the theology of Hillsong Church and that of Osteen’s Lakewood. Bloggers’ errors are more egregious. There is no recognition of the difference between the megachurch that adopts a ‘seeker’ approach and therefore plays Top 40 covers in service, and the megachurch that believes in singing vertical worship songs to God to facilitate a genuine spiritual encounter. This is a mistake. We don’t assume all smaller churches are alike, so why the broad brush about ‘megachurches’? 2. Not all environments and examples of modern worship are alike. Modern worship songs are sung in all sorts of contexts, from Lutheran churches to Pentecostal churches. Furthermore, the distinction between ‘songs in the hymnal’ and ‘songs on the screen’ is blurring as modern worship songs are being added to hymnals (I know at least two that were added to the Baptist hymnal a few years ago). I recently worshipped in a Presbyterian church where modern worship songs were thoughtfully sprinkled into the communion liturgy. So, if one were to critique modern worship, the questions are: Which expression of modern worship? Are we talking about the songs themselves, or the presentation of them? Or are we talking about the shape of the service as a whole, or the portion of the service that involves music? 3. Many churches that employ modern worship do so because of a rich theology of the Spirit. Furthermore, these Christians believe that the Holy Spirit empowers us to proclaim the Gospel in a language people can understand (just as He did at Pentecost). Modern worship is the result (at least in part) of a renewal of awareness of the Spirit’s work, both to communicate God’s presence to us as we sing, and to empower each congregation to reveal Christ in fresh and meaningful ways. 4. Many churches that employ modern worship have a robust sense of mission. Mission is not automatically in contradiction with ‘formation,’ though the two must be held in tension. Some churches go too far by advocating a ‘reach the lost at any cost’ approach. Yet others don’t take mission seriously enough and confuse liturgical conformity with gospel faithfulness. Many churches that utilize a modern worship style are trying to hold both things in tension. They want to faithful to the core of the Gospel and to the Great Commission. They want people to be properly formed in the image of Christ in order to bear witness to others about Christ. Believe it or not, there are churches who sing modern worship songs who have no desire to resort to gimmicks to win people to Christ. In fact, these churches sing modern worship songs precisely because they believe only the Spirit of God can draw people to Christ. 5. 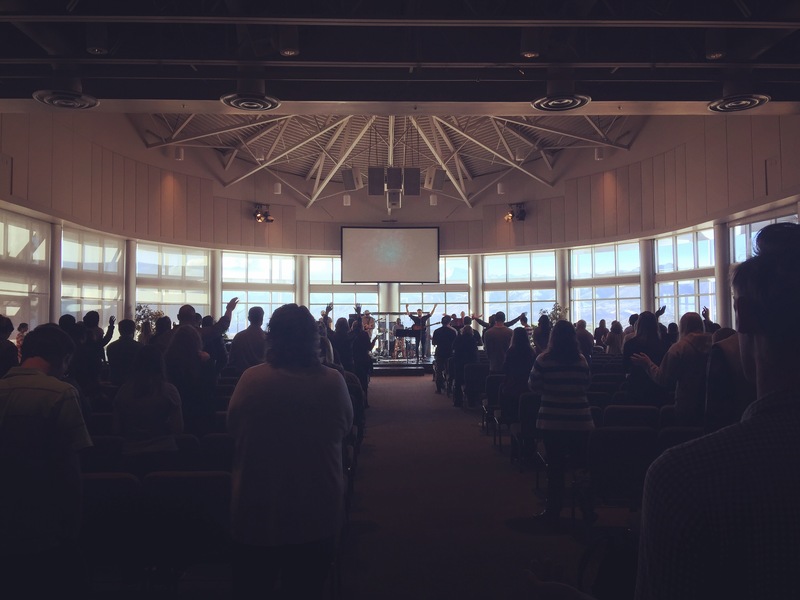 Modern worship engages the congregation emotionally, and that’s a good thing. Emotions are not secondary, lesser important parts of being human. (I’ve blogged quite a bit about this HERE.) Some researchers have even suggested that humans are seekers of ‘emotional energy’, which is a ’socially derived…feeling of confidence’ which results in the ‘courage to take action’ and the ‘boldness in taking initiative’ (Collins, 2004). In fact, a recent academic study of twelve nationally representative megachurches discovered that ‘megachurch attendees have high levels of belonging and spirituality’, and that their ‘megachurch makes a strong effort to help them realize and use their gifts to serve the wider community with most attendees volunteering for their megachurch at least occasionally.’ All of them cited the worship (the musical portion) as either the first or second reason for both choosing the church and choosing to stay. Maybe modern worship– or if you’d like, ‘megachurch worship’– actually helps people belong and meet with God. I am not suggesting it does this better than other forms of worship, or that it will have this effect for everyone. I am only citing this research to say, don’t be so sure that it doesn’t. The popular criticisms of megachurches and modern worship is that they are ‘merely a source of entertainment without any real substance and that large churches cannot produce feelings of intimacy, morality, and transcendence.’ A closer look says otherwise. I could go on, discussing in depth the pure hearts of so many worship leaders, the hunger for the presence of God in so many megachurches…but I hope you get the point: painting with a broad brush doesn’t give us the best picture. This may be the most unaccounted for and under-studied dimension of modern worship. In many churches, renewals in worship are seen as a result of the Spirit’s work. But there are metaphors of God in his revelation of Himself that stretch our imagination. Rich comparisons of God and: the wind, a wild dog, a momma bear, a rock, a mother hen, fire, water, bread. Are these forced? And if they aren’t forced because they are in the inspired Word of God, does that then mean that we are unable to infer that one of his self-descriptive metaphors (whenever we speak of God we speak in metaphor) can intensify into something else? For example, God reveals the Holy Spirit as “like the wind”… can’t wind become a hurricane? It just seems pretty arbitrary for a person to determine what a forced metaphor is for the Creator of all things. I would think that there are millions of true things to say about God that haven’t been said. Let’s look for them and say them. Now, I get it. Some songs are just not well written. Don’t worry. They won’t last. The cream from every generation of songs rises to the top. Also, aren’t we always going for a particular “sound”? Isn’t every style of music going for a particular sound? If you attend church services while on mission to Jamaica, would you expect their “sound” to be the same as churches in North America? Why? It seems that the “sound” is an expression of the culture from which it springs. After all, there is no godly sound. Sound is created to bring glory to God. Well done, Glenn. Your work is done here – at least for now. Well said, my friend…I am absolutely with you when you reinforce the fact that worship is spiritually formative, and that we should be reclaiming the ancient practices in our worship today. Those steps are true no matter what our musical content–in fact, they have much more to say about structure and approach than musical style. I love what you are about at New Life Downtown–setting a model of how that can be done. Some very good thoughts, certainly. Probably the issue that I’ve read that seems to be the most troubling has to do with the lack of participation in some (many) worship services because the songs are not singable, are originals and therefore not known, or are performed in such a way that the average person in the congregation feels they can’t compete with the band or can’t hear themselves above the the lead singer’s amplified voice. Indeed, as I look around many worship services that I attend, I see many who are mere spectators in the music. They stand. Look at the screen. Hands in pockets. This, I think should be addressed in any church setting…if the congregation isn’t participating as a congregation, the issue should be examined. This is a primary criticism that I’ve read in numerous articles and you really don’t address it. Secondly, your final point is…modern worship engages engages the congregation emotionally, and that’s a good thing. Agreed. IF it does. But many times, it doesn’t engage them at all. It engages the band. It may engage some of the youth group on the front row. But it may not be engaging the 43 year old mechanic, sitting on the 14th row who doesn’t know the songs and doesn’t feel he can compete with the rock star on stage. And finally, in that last point, you infer that only modern worship engages the congregation emotionally. Hymns can do the same thing. As the congregants sing the words that are embedded in some of the great hymns…sometimes, the emotion can be overwhelming. Look, it sounds as if I’m disagreeing with you. I’m not. Not even trying to be critical. I’m not. Just wanted to add a couple more thoughts to balance things out. I think your article was great….it doesn’t really have to be one way or the other. The main thing is that people worship. Good points, as I have seen the ‘deer in the headlights, “What do I do?” stance’ as well. However, why the assumption it is automatically the fault of the amplified, pro sounding worship leader? I have worshipped in many different settings, and thinking my voice can’t be heard or isn’t as good never enters into it. That would be me worrying about my performance, not that of the team or leader. Me (or anyone) feeling inadequate of lost or not worthy to sing isn’t on the leaders, it’s on me. And I use a lot of the longer times in worship where there may be free flow instrumental sections or a song I don’t know as times when I go internal and pray or simply become contemplative. Worship isn’t always about eyes open, mouth open, singing every word on the screen or in the hymnal. It is so much more. So true. I’m a worship leader and I recall a time when a congregation member came up to me afterwards and said they enjoyed the worship time. I remember thinking to myself “but you were even moving your lips when we were singing”. That’s when I realize the the above statement. Just because someone isn’t singing, doesn’t mean they aren’t worshiping. Many times they are reflecting, thinking, meditating, praying, crying out internally. Unfortunately some people think it’s a problem that needs to be ‘fixed’…. So true. I’m a worship leader and I recall a time when a congregation member came up to me afterwards and said they enjoyed the worship time. I remember thinking to myself “but you weren’t even moving your lips when we were singing”. That’s when I realize the the above statement. Just because someone isn’t singing, doesn’t mean they aren’t worshiping. Many times they are reflecting, thinking, meditating, praying, crying out internally. Good work here. Your strongest points are the theological ones. My only beef, then, is the statement early on that social and anthropological considerations must come before theological ones. I think that’s exactly backwards and I don’t think that’s what you wound up doing. It’s okay to let theology be the queen of the sciences. The lazy critics you astutely critique have foundational theological problems. Don’t be shy in pointing that out. Humble, honest, and well researched read on a topic that the critics claim to be the experts on. Thank you Glen, this is spot on! When I am in the back row of a church meeting during the period that we are praising God through music my concentration is on God, not on the band or worship leaders. My hands are not in my pockets as my whole body is praising God. If I notice those in front of me at any point I see they are all in that same state of worship, paying no attention to anything or anyone other than the words they are singing and the sincerity of those words. Why do people so quickly pass comments on others and the forms of worship modern or otherwise. When I was young I often attended conventional church meetings and I sometimes wondered why people who were singing wonderful songs of the joy of the Lord looked so miserable or just plain unattached from the words that were being sung. This can also happen with modern forms of worship but in my experiance is far less likely to. Surely both modern or old methods of worship can be used and what counts is more about the sincerity of the worshipers. So long as the words and the music show reverance to God and the worshipers are sincere would that not be acceptable to God? I really enjoyed this read. It’s well done. What I always find interesting in any of these discussions, whether for or against “modern” worship, is comments about someone standing with their hands in their pockets isn’t worshiping. That’s what I do. I am not a demonstrative person. But it has nothing to do with whether or not I am worshiping. My wife raises her hands, claps, etc. and says I should too. Why? There are so many ways to worship; mine is quiet and within. I don’t see how that is anyone else’s business. Facinating blog and comments. I wish I had a long time to write my thoughts on it more coherently. I have wanted to blog on this topic for a long time. I agree with many of the comments regarding participation on both sides. Sometime I feel judgemental about the style in which others worship, but then a still small voice reminds me “who are you to judge how others worship?” If what they are doing is worshipful for them, then that is fine and it is not my place to criticize. If I don’t feel I can worship in the environment of the church I am attending, well, one benefit to living in the US and in particular in the Bible Belt is that there is another church just across the street. I too am not very demonstrative so I don’t raise my hands and clap and often just stand and contemplate the words. On the otherhand, I often enjoy singing and participating in worship. In general, for most of us who are not trained singers, we learn the tune from hearing songs over and over. “Modern” worship songs are frequently played on the radio and most of us have learned the tune, beat, and key there. I find it highly irritating when a worship leader sings the song in an unfamiliar (I.e. Not what is being played on the radio – KLOVE, Air1, etc.) tune, beat or key. I often wonder “why”? Are you just trying to do a bad cover? Are you wanting the congregation to NOT sing and just listen? Or, is the version you are singing just not one I’ve heard (which I kind of doubt since I listen to Christian music radio many hours every day). I’m one of the few critical insiders of modern worship. My issues with modern worship have less to do with what it is and more to do with what it isn’t. It is good, but I have a hard time “making sense” of it outside of a sacramental community. Without the sacraments grounding worshipers in one holy catholic and apostolic tradition, modern worship becomes abstract and individualistic, in my experience. Many critics think it’s too hard for people to participate in modern worship. I think it’s too easy. It’s easier to worship as an individual than a community. It’s easier to worship if it’s a disembodied experience. It’s easier to worship if it accommodates cultural habits. And it’s just as easy to lead as it is to participate. I find it much more challenging as a leader to submit my stylistic preferences to history. It’s more challenging to lead worshipers into uniform expression in an every-man-for-himself world. It’s far more challenging to engage a “crowd” without LED lights, loud speakers, and a stage. But it is possible. It’s happening. And modern worshipers who are tired of the status quo, such as yourself, and hopefully myself, are leading the charge. Ryan, I hereby commission you to write a guest post at my blog, expanding on the idea above as aggressively as you like. I’d like us all to explore the idea with you of what it means to be mutually “grounded in one holy catholic and apostolic church” – even if it means for you the death of (the spirit of) Protestantism as we know it. It’s time to take our conversation in my living room into the blogosphere. One simple issue for which I think a lot of people do not have a clear understanding which is; to ascribe music as the totality of worship rather than a tool of worship. The tool of music is obviously used in a wide variety of styles. Worship is not just the song or setting it is part of our living out of faith. Just for information I have been involved in church music for all of my 52 years and in the ministry for over 30. I love to sing to the Lord and lead people in music as well. I just feel strongly that we constantly misuse or at least perhaps incorrectly use the term “worship,” when we are more accurately referring to music/church singing. Thank you for one of the best blog post written regarding worship, contemporary or otherwise. I find the common complaint about people not singing in worship to be profoundly naive. As a preacher’s kid and ordained worship pastor I’ve attended more worship services in more churches of more styles and traditions than I can count. I have NEVER seen the case when everyone was singing or participating in worship regardless how traditional, liturgical, or contemporary, professionally produced or free form. There are both quiet worshipers and non worshipers in every congregation. Non worshipers may be attending for any number of less than holy reasons. Quiet worshipers are worshiping quietly. The best a worship leader can do is prayerfully prepare and do his/her best to create an environment that is conducive to worship for those who’s hearts and minds are prepared for it. Do you judge a football game by those in the stands who are talking on the phone and not paying attention or by those who are on the field actually involved in the game? The thing that worries me, and which you fail to address or acknowledge, is the assumption that “worship” is just the musical part of the service. Many churches have “worship services” for which the music experience is the most important factor. This is so wrong. Worship encompasses all of our ongoing interaction with our Saviour – of which singing our praises is one part, along with prayer, ministry of the Word, holy communion, service and support of one another, etc. Too much emphasis is given to the “worship leader”, i,e. the leader of the musicians. This is WRONG! The leader of the worship during a service is the service leader, no-one else. Others may play a subserviant role (musicians, praying team, guest preacher, ministry assistants, etc). Calls for the demise of “modern worship” seem almost to have become an expression of genuine Christian faith, at least in social media. You would think that Jesus is returning only for the few on the narrow road of non-modern worship . . . whatever that is. Coincidentally(?) many of these same prophets of Facebook and comment sections are also calling for the end of anything structured or organized when it comes to church. Glenn, this is very well said. But I think you have much, much more to say because of your past and present experience in the Body of Christ. The worship wars aren’t going away anytime soon. Please consider authoring a book on the subject. (Not enough on your plate, right?) You won’t be the only one, but I believe that your perspective is unique and valuable. How much of this is really other cultural issues being fought in disguise? I only see this war taking place in predominantly white settings. In the “black church,” there seems to be room for both the Mississippi Mass Choir and Kirk Franklin. I suspect that this has more to do with the cultural role of music within the black community in general, as contrasted with its role in the white community, in general, and, in addition, the historic tension within the Lutheran community between its immigrant German roots and its relatively recent efforts to become part of the American cultural scene, including language assimilation. I am a technology guy. Been so at heart my entire career, and even long before. My background has been in the corporate and entertainment worlds, even though at heart I am more deeply rooted in the gospel and particularly worship. I grew up like you, in the charismatic church and at a young age found the touch of God in worship. It is that unexplainable part of worship that I find so many miss when coming to church. Being in the technology world I have sat behind sound boards, lighting consoles and video switchers for events of all types, but the most impactful have been worship. Being from Ohio and outside the Bible belt I had always thought what a wonderful thing it would be to have the opportunity to bring technology to the church in the way that it is used in the corporate and entertainment world. I had that opportunity with the Assemblies of God and helped produce their Youth Conference in Ohio for almost a decade. We had an incredible balance of technology, music and the word, and drove the conference to its peak of attendance, and dare I say impact. At the time I was working on events for some of the biggest companies and organizations in the world, but this one conference was the highlight of my year because it was the opportunity to engage in worship in a way I did not see anywhere else. Then came the opportunity to lead the technology department for a Mega Church. I leaped at the chance. It was a very progressive church, thinking outside the box, and using technology in every way that they could find, and recognized globally. Seemed like a great fit, right? I uprooted my family and moved to Oklahoma (the middle of nowhere as far as my past career went) and dove into what I thought was a great fit and a great opportunity. But the worship was missing something…engagement. Not for everyone. I would guesstimate that maybe 10% seem to be engaged, and as you commented at one point, it was primarily the youth in the front rows. In fact I found that the majority of the congregation did not even show up for worship, but disrupted anyone engaged as they showed up mid to late worship set, and pushed their way to find seats in the dark. Corporate worship is important, but without INDIVIDUALS engaged, corporate worship doesn’t happen. This is a large multi-site church, so there is a worship leader at every campus. They title them as “Pastors” but to your point and those of some others above, this has become a title more than an avocation. It means “the guy in charge” more than someone who engages in the lives of the congregation. Those who were hired for the worship leader jobs were required to fit a particular mold as an entertainer more than anything else. I tried to engage many of them in discussions about worship that went beyond the musical performance and for the most part had blank stares. The one truly successful contact on this was a Worship Pastor at one of the main locations who really understood and had the most engaging worship experience in the whole church. Ironically he was also one of the greatest entertainers and used technology to enhance the program, not just dazzle. He seemed to understand what Toby Mac later wrote in his song “Steal My Show”. Technology can be used as a TOOL or a TOY. When used as a tool it can have incredible impact. When used as a toy it becomes pure entertainment and/or distraction from worship. The goal for each of the worship leaders at this church was to out-do the others by piling on technology. My wife and I went to an OKC Thunder game during the playoffs, and as a typical technology guy I was looking at the lighting rig and how many fixtures were used and how. On Sunday we went to the main campus of the church and I counted more fixtures on their stage than the NBA used for an entire arena. Overwhelming? Distracting? Unbelievably so! I have worked on Olympic events, Super Bowl events, grand openings for places like the Rock and Roll Hall of Fame and others where technology is there to build intensity and crowd involvement in some of the largest ways. Even at those events the technology is used to engage, not to detract from the purpose of the event. If we can learn to do the same for worship (and to be fair there are many cases where it has been done) then we can enhance modern worship and draw to its purpose rather than distract people. I seem to be writing my own blog post here, so I am going to let it go at this point. What I really wanted to say is that, for the longest time I have felt alone in this part of the country in trying to find a place with a Worship Pastor who understood worship, and not just technology. I was beginning to think that I was delusional and perhaps I had been missing the boat. Your blog has shown me otherwise. I am going to continue absorbing your writings, and hope that some day we have the opportunity to meet!